This new event takes place from Thursday 17th to Saturday 19th May 2018 in the Rothes Halls, Glenrothes in collaboration with the Fife Cultural Trust. Over three days the Festival will host events and activities for all ages welcoming writers, musicians and poets including world renowned authors Val McDermid, Christopher Brookmyre and Mark Billingham, Emmy Award winning wildlife cameraman James Aldred, Sally Magnusson, Judy Murray and Archie Macpherson who will all join audiences in celebrating everything from crime writing to football, poetry and the stories of Glenrothes’s residents. 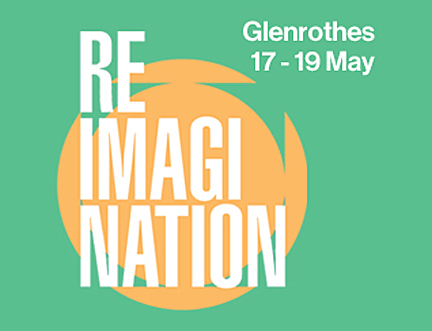 The programme for ReimagiNation: Glenrothes has been developed by the Book Festival in light of a survey conducted with Glenrothes residents. As a result, audiences at the Festival can hear from renowned Scottish crime writers including Val McDermid and Doug Johnstone; learn about Judy Murray’s inspiring life story and meet James Crawford as he unveils his new, lavishly illustrated book Scotland from the Sky. Residents and visitors can take a guided walk of the town in the company of architectural historian Diane Watters calling in at St Columba’s and St Paul’s and St Mary’s Churches, enjoy tea and cake with Glenrothes stories old and new developed from Daniel Gray’s residency with group members from WalkOn and a local Breathe Easy Group as well as pupils from Auchmuty High School, and join in a debate about the future of Glenrothes and what lessons can be learned from this New Town. Theatre maker Ishbel McFarlane will present a session of her new performance piece, Plan, an interactive experience in which everyone designs and builds a settlement for displaced people – effectively recreating Glenrothes for the 21st century. A fun activity where adults and children can experience the rewards and pitfalls of town planning. Other events for younger audiences include celebrations of Harry Potter and a new Scots version of Judith Kerr’s beloved children’s book The Tiger Who Came to Tea. 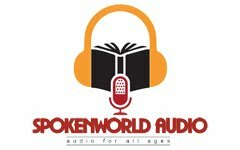 Leading illustrator Tanya Roberts hosts a fun workshop on creating comics, having worked on Star Wars: The Clone Wars as well as Boom!’s Toy Story comic and Titan Comic’s How to Train Your Dragon. A special interactive storytelling session on Friday 18 May with The Teeger that Cam for his Tea has been developed for people with profound and multiple learning disabilities. A full programme of free events for schools runs concurrently with the public events on Thursday 17 and Friday 18 May welcoming pupils from P3 to S3 from schools across Fife and neighbouring counties. From comics to comic capers and dastardly crime, these events allow pupils and teachers to explore stories and creative writing, both in the Festival itself and afterwards back in the classroom. On Friday 18 May, An Evening of Whisky, Words and Music welcomes crime writers Luca Veste and Stuart Neville to read from their gripping stories and Glenrothes’ own Andrew Ferguson provides a tribute to Venus Carmichael, the near mythical 70s singer-songwriter from Arbroath – and there’ll be a tasting session of specially selected whiskies hosted by Nikki Welch and Blair Bowman . To close the Festival on Saturday 19 May the Fun Lovin’ Crime Writers take to the stage for a riotous selection of murder inspired cover tunes. 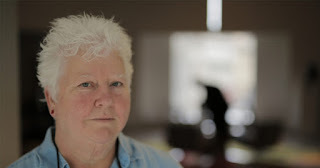 This seriously talented band is formed of top crime-writing-turned music stars Mark Billingham, Doug Johnstone, Stuart Neville, Chris Brookmyre and Luca Veste with Val McDermid on vocals. The ReimagiNation New Town Festivals seek the hidden stories of life in Scotland’s New Towns, 70 years since they were established. Carefully designed with utopia in mind, these towns have suffered neglect and derision in recent years, with dubious architecture ‘awards’ and press articles helping to promote a vision of the towns as failed, unloved and undesirable. Glenrothes itself was designed to offer clean air and breathing space away from the cities, as well as access to work in a nearby and later closed colliery. ReimagiNation asks the people who have lived in Glenrothes how they really feel, and whether their stories and experiences of this New Town would tell a different tale to the public perception – something the Book Festival have found to be true in the towns visited so far, with residents revealing pride and passion, as well as frustrations, for their hometowns. There will be lots of free activities around the Festival at the Kingdom Shopping Centre and ON at Fife Libraries from face painting to pop-up information stands. Waterstones book shop will be popping up in the Kingdom Shopping Centre over the weekend and the National Library of Scotland will be showing original New Town promotional films and town plans. 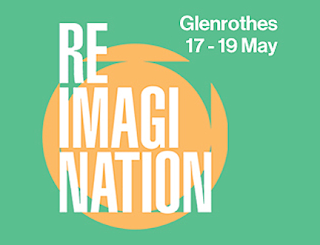 To find details of the full programme for ReimagiNation: Glenrothes please visit booked.edbookfest.co.uk. Tickets for all events are available to book online at booked.edbookfest.co.uk or onfife.com, by phoning 01592 611101 or in person at the Rothes Halls, Glenrothes ((Mon – Sat, 9am – 5.15pm). 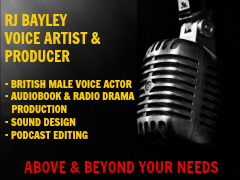 Most tickets cost £5 (£3.00 concessions) and there are plenty of free events across the programme.